Ship size and speed, 1873-1913 - Website of business-of-migration! Migration travel across the North Atlantic grew markedly after the U.S. Civil War. 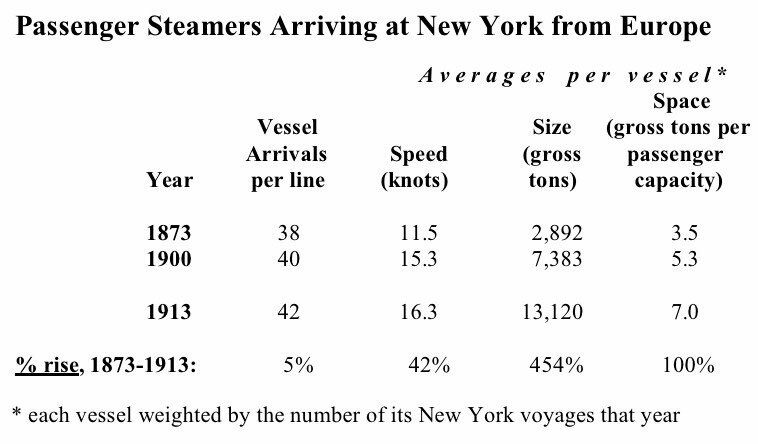 After the 1870s, growth in fleet sizes (average number of vessels per line) slowed, although the total number of lines with ships arriving at New York from Europe increased from 17 in 1873 to 26 in 1913. 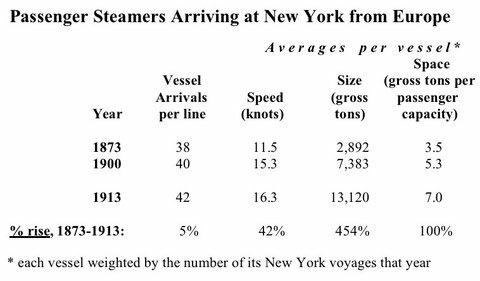 However, between 1873 and 1913 the speed of liners arriving at New York from Europe increased by nearly half, and their gross tonnage per passenger capacity doubled.